The Emergency First Response course will teach you what to do in an emergency. 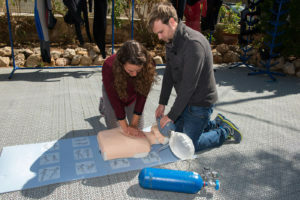 EFR Secondary Care – First Aid First Aid and CPR are the most important things to know in a diving accident. There are no prerequisites for this course. You will gain the skill and self confidence to help others in an emergency or life threatening situation. The latest guidelines will be taught.